Welcome To the Chamber, MentorMe! 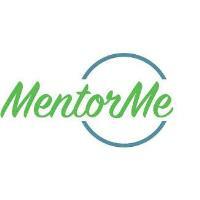 Welcome to the Garner Chamber, MentorMe! MentorMe program that is in direct response to the growing number of young people that are either falling through the cracks at school and uncertain about their future as an adult. The goal of the program is to identify youth who are looking to succeed adulthood and offer positive support system to avoid the pitfalls that can derail their lives. The focus is slightly different at each level but the goal remains the same; empower the young person to make positive changes in his/her life. MentorMe will focus primarily on middle and high school youth. It is projected that within three years, 50% of the system's students will be in middle and high school. This age group is particularly problematic and a perfect time for mentoring to be effective. MentorMe mentoring programs will pair a youth with mentor for 12 months. During that time the two will participate in weekly planned activities to strengthen the relationship between the two and improve the young person's confidence and hopefulness. Mentors will receive continuous training throughout the year and will participate in monthly meeting to report the young person's progress. Over time, MentorMe will create a learning environment that will be an invaluable resource to young people, aspiring mentors and the community at large.